Mashed with some coconut milk, coconut oil, and chives, humble cauliflower provides all the texture and comfort of mashed spuds, without the trip into dangerous territory. 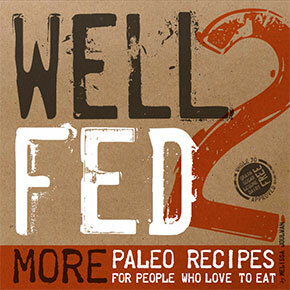 This is the recipe from Well Fed: Paleo Recipes For People Who Love To Eat. I use frozen cauliflower in this recipe for convenience, but if you prefer, you can use fresh. Just steam until it’s very tender and proceed with the rest of the recipe. Crazy, I made these last night! However – I think mine got waterlogged because I ended up having to add (very non-paleo) mashed potato flakes to make them even close to the consistency they needed to be. 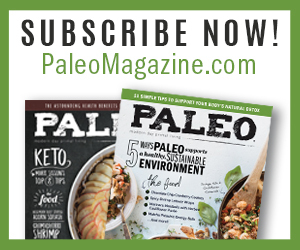 We are in the process of transitioning to a paleo diet, but it’s a hard sell with my hubby! I knew he wouldn’t stand for the cauliflower “soup” I had made, but next time I won’t cook it nearly as long! 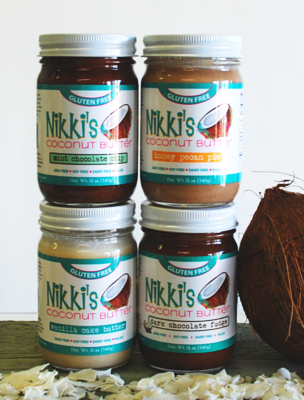 recommendations for a good coconut milk? I can’t eat coconut products (oil, etc) or dairy so I’m wondering if I could substitute olive oil and Almond Milk instead of coconut oil and coconut milk? Do you have any recommendations for substitutes because I could make a lot more of your recipes if I could substitute them. Thank you! Love your book and your blog. In this recipe, you can substitute chicken broth for the coconut milk — or if you have homemade mayo on hand, skip the coconut milk and throw in 1-2 tablespoons of mayo. I did that once, and it was luscious. Mashed cauliflower is our starch staple, as my husband is diabetic. We don’t use any kind of milk at all. Our favorite is to put several whole clove pieces of garlic in with the cauliflower when it is steaming and mash that up as well. We will add butter for thanksgiving but generally don’t even add that and it is delicious. I have used almond milk in the past and it worked fine until I discovered we didn’t really need the extra ingredient! 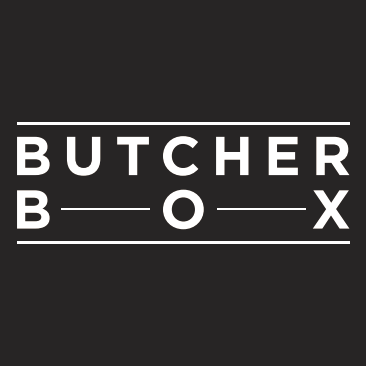 How would I make this without a food processor? You use old-school tools like a potato masher or a potato ricer… or an immersion/stick blender… or a hand-held or countertop mixer. If you don’t have any of those things, you could go at it with a wire whisk and get an upper body workout. That would be a workout! I used our good ol’ potato masher. It tasted great! Thanks Melissa. this will be my first Thanksgiving without Pepperidge Farm stuffing. I’m thinking of using Bell’s seasoning mix and using cauliflower as the “bread”, with diced onions, celery, pasture butter, and home made chicken stock– have you tried this, and do you have any recommedations? Thanks so much, love your passion and especially, love Well Fed! I haven’t tried a cauliflower stuffing, but I bet it will taste great. I’d recommend making it in a casserole on its own, rather than actually putting it in a bird, however — I think it might get too mushy inside the birdy. what a great idea about the bread crumbs! I was definitely planning to bake it– I got the notion from a twice cooked cauliflower curry I invented one night (steamed it, chopped it, stirred it up with some coconut butter and a Savory and Spice shop curry blend and baked it). I’ll try to remember to let you know how it turns out! I ADORE this recipe. I’m away from my family for a few months training, and when I was back home this past weekend I made this, Cinnamon Beef Stew, and Chocolate Chili in HUGE pots to stock up the fridge to make my hubs’s life easier. I’ve never been a huge fan of cauliflower, but this…this I licked the bowl clean. So good! One of my favorites from Well Fed! I cannot wait for Well Fed 2!!! I had to tell you what I did tonight! My store had no frozen cauliflower – really? – so I bought a head of fresh. Cut it up, boiled it and during the last 3 minutes or so of boiling it, I added half a bag of frozen spinach! Once it was done, I prepared it using this recipe. Bright crazy green but really tasty! I am like a little kid; sometimes you have to sneak in the spinach. I love the addition of spinach — that’s genius! Holy crap!! These are amazing. The best recipe EVER for mashed cauliflower. Now I wonder if I can trick my kids. I use fresh cauliflower that I steam first. These are unbelievably good. LOVE them. 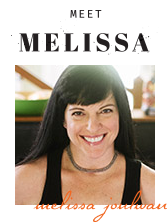 Hey, another Mel(issa) here – I came across your website after googling whipped cauliflower with coconut oil. Never liked the mashed/whipped cauliflower with butter or parmesan (we’re not paleo but try to keep it whole foods, lower glycemic, and clean,) thought something different was in order. I love love love coconut oil and wanted to see if anyone out there had any suggestions for how much to use. I have to say, your recipe was beyond perfect! I did not have any chives on hand, I’m sure that would have put it over the top. We had this with some sauteed green beans and marinated steak we grilled, and I think my husband and I pretty much licked our plates clean. It truly was comfort food-esque. I’m so very happy right now. Yum. Just yum. Thanks! Hi, Mel! 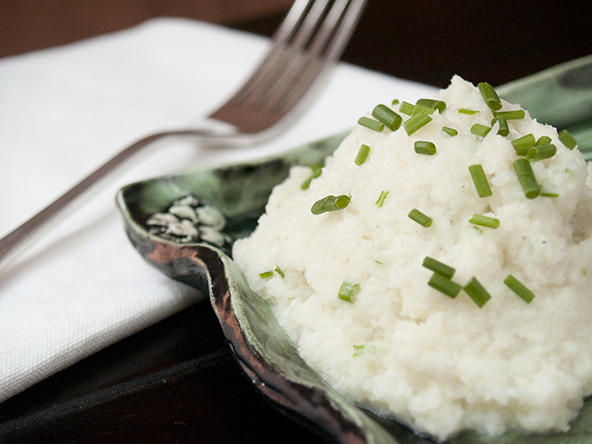 I’m so glad you like the mashed cauliflower with coconut oil… yay! I’ve also made it with a dollop of homemade mayo, and that makes a really creamy, luscious blend, too. Have fun experimenting! Let me just say that this is comfort at its best! You do the most remarkable recipes and I never feel like I am missing anything. For the record, before I bought your cookbook, I NEVER ate cauliflower. I thought it was the DEVIL! LOL No really, I hated it with every fiber of my being. You have made me love it and look forward to eating it. (Your rice dish was the first) Thank you for your brillant ingenuity and ability to make food taste delicious! Your cookbook is the first one I pull in order to find something tasty! You would be proud, I had left overs and thought “what could I do with these…” Cauliflower cakes! I added a couple of eggs, chopped onion, a little coconut flour and fried them in coconut oil! Thank you for making food fun! I LOVE the idea of cauliflower cakes — brilliant! Those sound really good! Thank you for your sweet compliment. 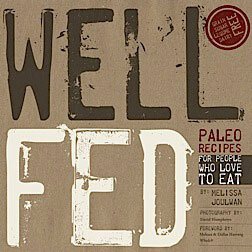 I’m so glad you like the recipes in Well Fed. YAY! Like the recipes is not strong enough! Love!!!! Waiting for Well Fed 2! Hello! Huge fan here! 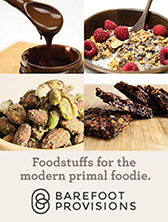 Love your cookbooks and are my go-to for my paleo cooking! You’re a flavor genius! So, I tried this mashed cauliflower version and used,as recommended, frozen cauliflower. Flavor: Amazing!. But it did turn out a little soft , not quite runny/soup-ey, just soft and lacked some kind of structure. I was super careful with the water logging. Any tips? btw: Dried chives is brilliant. It might be the brand of cauli — perhaps they cook it more than mine before freezing. If you don’t like the texture, you might try steaming fresh cauliflower instead of using frozen. I usually don’t like mashed cauli – but yours is delicious! Thank you! I’m so glad you like this version. Thanks for letting me know! Quick question – can the mash (made via your recipe – except was made with fresh not frozen cauli) be frozen ok? Thanks for all the deliciousness! Have recently made Piña Colada Chicken & Beef Provençal – the addition of olives in the latter was GENIUS!! I haven’t had good experiences freezing cauliflower. It has a lot of moisture in it, and when it defrosts, it gets really watery. I don’t recommend it. Hi, I just started this journey and have lots of questions…I am wondering if the following rendition of the recipe still works for the Whole30 plan, steamed cauliflower, garlic, 2 tbsp of ghee, nutmeg all in food processor until desired consistency is achieved. I tried this version and it is incredible and almost seems to good to be true. 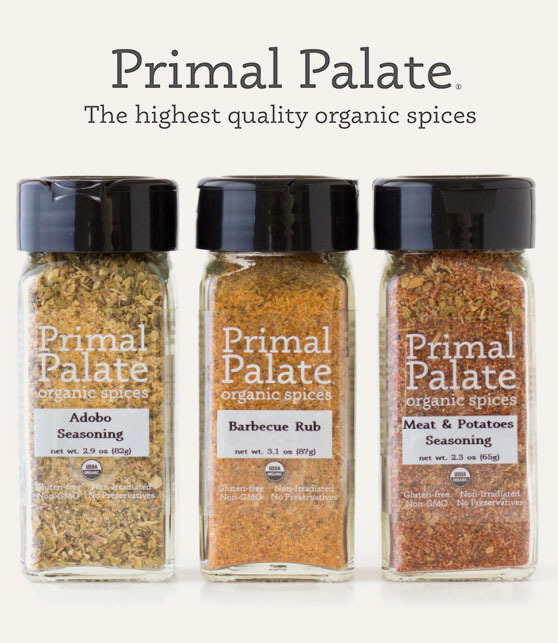 Those ingredients are all Whole30 compliant, so you’re good to to! I love this recipe! After it was prepared I layered it over the Greek Beef Stew and baked it. Great shepherd’s pie! No one even thought to ask if it was a mashed potato substitute. This is a keeper. Though I double the garlic. Because I double the garlic in everything. OMG, this was amazing! Served it with chocolate chili and a lettuce salad, so goood. Thank you for the recipe! Love both your books and I must say your mashed cauliflower is the best I have tried. A friend suggested this weekend that I try making it with an immersion blender instead of my food processor – so I gave it a try. Much creamier and more like the texture of mashed potatoes! My husband said you could fool anyone with this recipe! I’m really glad you like that recipe! You know, I resisted the stick blender for a long time because I didn’t want another kitchen gadget. Now I feel really silly for waiting so long to get one! I use it every week to make mayo, zucchini soup, and mashed cauliflower. WHY DID I WAIT SO LONG?! WOW! That was sooooo very good. I’ll definitely bs making that on anregular basis. I’m fairly new to Paleo but can’t believe how much I’m enjoying my food. Btw, I used paleo mayo in this instead of milk and just loved it. Hubby isn’t a big fan, so I’ll just have to keep feeding him rice or regular potatoes instead. Not a biggy. Glad you liked it! I’ve used mayo when I’ve been out of coconut milk, and I almost like it even more than the coconut milk. So creamy! Give your hubby some time; maybe he’ll come around! I discovered this mashed cauliflower last week and I prepared it with Blue Ribbon Country Captain Chicken from your cookbook and OH MY GOD it is the best side-dish I had in looong time. Thank you! WOOT! Glad you liked it!